Dr. Dirk Baker is the winningest coach in Worcester State baseball history with a career record of 477-332-1 (.590). While at the helm, Worcester State has had 20-plus wins in 14 out of the last 18 seasons as well as captured eight MASCAC regular season titles and Coach Baker has been honored as the MASCAC Coach of the Year multiple times. A 1991 graduate of Boston University, Coach Baker was a three-year starter, a two-year captain, and a Division I NEIBA All-Star. He set single-season records for homers, walks and he started in 130 consecutive games. 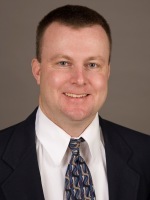 Coach Baker received his Masters of Human Movement from BU in 1993 and his Doctorate in Curriculum & Teaching in 1998. Coach Baker is a multiple coach of the year recipient, has authored numerous books and publications in Collegiate Baseball Magazine, and has spoken at various conventions in the past, including the MBCA. We are pleased to once again have Coach Baker presenting at our clinic; this year on Bunting 101.